Visit Yarraville and Seddon Villages - just a few minutes walk away. Fabulous restaurants, cafes and bars, and great coffee! View a current release movie at the amazing art deco Sun Theatre, the funkiest and cosiest mini multiplex cinema complex in the known universe. Seriously! Convenient to everything Yarraville has to offer and simple to get in to the CBD via train. The Host/Owner is a helpful, friendly and all round great person. We enjoyed our stay and would recomend Pentland Parade to anyone needing a gorgeous place to stay that is also Pet Friendly. Very charming house with high ceilings and very close to public transport with regular trains. Close to decent cafes and restaurants. Owner is nearby. Would recomend. Couldn't have been better. Great value for money. Owner very obliging. Thanks John, pleasure having you and we hope to see you down in Melbourne again soon! We thoroughly enjoyed our 4 nights' stay at this house. Everything was nice and clean, found all daily using things there. Owner was a nice and helpful person. Thanks for your kind words, we always aim to please! 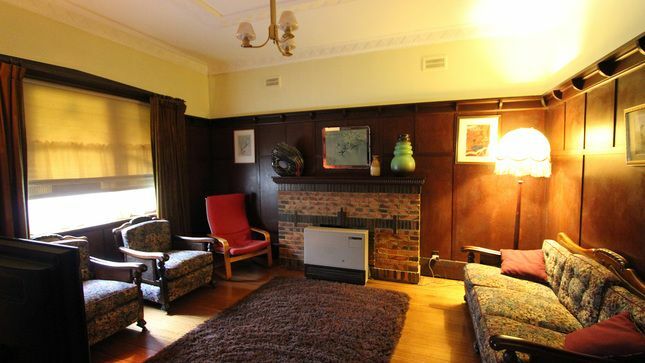 A warm comfortable home away from home close to transport in Melbourne. Great location to use as a home base to visit attractions in Victoria. We could either take the car for long day trips or just walk down the road to the train station for a short journey to the city. Loved the extra supplies in the kitchen, the washing facilities, comfortable beds and homey atmosphere. James was very helpful with directions and local advice - we would definately stay here again! Very comfortable, clean, tastefully decorated, warm, comfortable beds, helpful Landlord, close to city and very close to public transport. Safe environment for young children (or animals!). Flexible layout to suit a variety of groups staying.